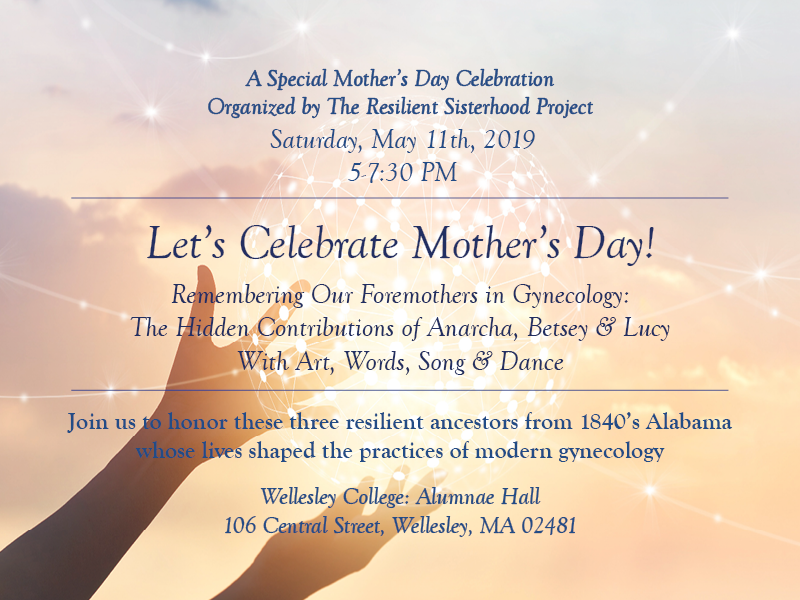 On Saturday, May 11, 2019 Resilient Sisterhood Project (RSP) will honor the contributions of enslaved women who were experimented on without their “informed consent.” During the 1840s in Montgomery, Alabama, Dr. James Marion Sims, long lauded as “the Father of Modern Gynecology” by the medical establishment, exercised inhumane and unethical conduct through his experiments on nearly a dozen black women, three of whom he bought – known to us only as Anarcha, Betsey, and Lucy. This celebratory event to recognize these women as our “Foremothers in Gynecology” will include music, dance, poetry and lectures. A major highlight will be the unveiling of three pieces of artwork done by a well-known African American artist, Jules Arthur. The Resilient Sisterhood Project is excited and thankful to have The Boston Foundation as our major sponsor for the event. Here is what they have to say in their support of RSP.